About a week ago, I was contacted by the Community Awareness Coordinator of The American Recall Center. From this contact, I learned something about the month of October that I had I never imagined existed: Talk About Your Medicines Month. Image Found: Black Press USA, http://www.blackpressusa.com. 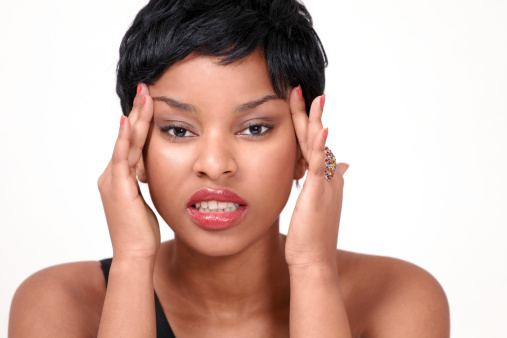 Click for article on migraine. From my own limited observations, I have seen people engage in a dichotomous categorization of illness: “good illnesses” (e.g. cancer) that are worthy of sympathy, and “bad illnesses” (e.g. bipolar disorder) that are unworthy of sympathy. Anyway, I could go on about this forever. The point of this piece is for me to talk about my medications. Image From NJ Family: Article “Help the Medicine Go Down.” Click to read. To the tell truth, I have hated taking any form of medication since childhood. I hate it now. Still, I have to do it, i.e., if I want to live my life more fully. That’s the simple fact. The medications I take are two: bupoprion and aldactone. The buproprion is for symptoms related to my fibromyalgia, while the aldactone is for high blood pressure. Other than that I take a multivitamin and call it a day. In the interest of length, I discuss only buproprion, especially as it is more relevant to the main theme of my blog, i.e. fibromyalgia care. Just so we are clear, buproprion is the generic name for the well-known medication Wellbutrin; and it is a commonly prescribed medication in the treatment of fibromyalgia–perhaps not as common as Cymbalta (duloxetine hydrochloride). Buproprion, an atypical antidepressant, was prescribed for me because I am sensitive to more typical antidepressant medications like Cymbalta. Buproprion works to alleviate issues with fibro-fog and fatigue, also it helps me with seasonal affective disorder (S.A.D.). Do experience some or all or none of the side effects? Well, I would say that I experience some, in particular dry mouth and insomnia. The insomnia can be highly problematic, and it is still something I am working to fully resolve. The dry mouth is less problematic, so that I am okay with letting it be. In essence, for me, the benefits associated with taking buproprion far outweigh the drawbacks experienced as side effects. Image From Essence Magazine: Article “Why Talking to Your Doctor is the Best Medicine.” Click to read. With any medication, its interaction with your body is unique. Thus, what I have stated in this post is particular to me, and may not be right for you. It is important to create an ongoing dialogue with your healthcare provider. While living in Italy, I have been fortunate to have access to medical support and have a weekly check-in that helps me to keep on track. For the most part, I see my illness as stable and with a somewhat recognizable pattern. Still, I make certain that I keep track of how both my body and mind are functioning. It is important to remember to take your medication. I take all my medications at the same time. That was something I considered and always consider when agreeing to take a medication–taking all of my medications at the same time allows me to create an easy and maintainable pattern. Do whatever you know has helped you in the past to create a routine. Most importantly, remember that you are in charge of your body–no one else. How your body is cared for is in your hands, and so you must take all precautions necessary to ensure that whatever you do to it is in its best interest. Don’t leave the decisions solely up to your doctors. Research the recommended medications, consider your lifestyle, and outline a health goal that indicates how the recommended medications will enable you to achieve it. The path to health is not always linear. With enough planning, however, the journey can be a smooth one. Thank you for sharing your medication story. I never heard of “October Talk About Your Medicines Month.” Thank you for this information. I have a long story to share about my medication story over the past twenty years. Other plans, prevent me from sharing this last day of October. Enjoyed reading. Thank you so very much! 🙂 I am glad you enjoyed it. I hope you will share your medication story in a post, though, as I would enjoy reading it as I am sure others would as well.